Residents are shocked at the possible loss of view shafts from Stockade Hill. Times file photo Wayne Martin. A petition containing 1000 signatures was sent to all councillors before a series of council meetings started today. The meetings will consider Independent Hearings Panel recommendations and a report from council officers on the Proposed Auckland Unitary Plan (PAUP). The petition was organised by members of the Howick Residents and Ratepayers Association (HRRA) who are shocked to find intensive development of three to three-and-a-half storey apartment blocks on the north side of the Howick centre has been retained in the PAUP. “We are in danger of losing our iconic 360 degree views from Stockade Hill and our magic sea vista as we crest the hill into Howick,” the association says. The association is calling on the mayor and councillors to totally reject the proposed intensification opposite historic Stockade Hill and surrounding Crawford Reserve, Howick. 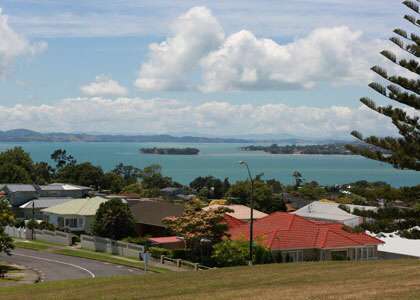 It’s asking that the area be rezoned as single housing in keeping with the rest of the surrounding Cockle Bay zone and let the views last for posterity. Meanwhile councillors this morning over-turned a decision to delegate the first round of decisions to the Auckland Development Committee which included members of the unelected Independent Maori Statutory Board. Instead the decision-making has been moved directly to the Governing Body. The final Auckland Unitary Plan will be publically notified by the council on August 19.